Recently we had occasion to pull out several early prototypes of the IVEA and line them up side by side. It was amazing to see the various iterations of the product and the incremental changes that, over the course of several years, led us to the equipment hospitals are using today. Throughout the design process we drew from our own clinical experience and the skill and experience of our stellar engineers. But more than anything else, what got us to the final product was feedback from nurses and other clinicians. Countless voice-of customer exercises over a number of years drove the IVEA’s design and gave us the confidence to keep moving forward on an innovation that defied categorization. Was it an IV pole? Yes. Was it a walker? No. Could it help clinicians ambulate their patients more often by consolidating patient equipment? Definitely. That process – Listen > Design > Produce > Repeat – is not only essential to the product development process, it’s also useful during implementation and adoption. After all, what good is a new product if no one understands why it’s important and how to use it? 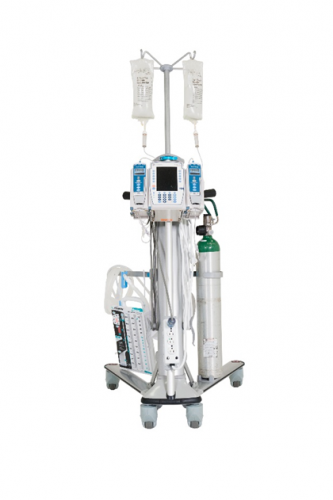 That’s why, with every IVEA purchase, we go to great lengths to make sure that clinicians understand how the equipment works – how it consolidates patient equipment, aides ambulation and improves care. But more than that our clinical educators listen closely to what caregivers have to say about the IVEA. Change is hard, and like any new technology, the IVEA can trigger a bit of resistance in those reluctant to move from the status quo and adopt a new process. We get it. Our conversations with the clinicians we train have helped us refine our instruction, proactively address common questions, and even begin work on accessories to make the IVEA even more user friendly. What we hear from you, our customers, is more important than anything we could dream up in house. Your feedback was invaluable during the design phase and continues to guide us on our journey to make the IVEA the standard of care in hospitals around the country and around the world. If you’d like to learn more about the IVEA or talk to us about your experience with the product, please contact us at info@iveamobility.com.